One of the fun games when watching movies is to spot references, secret messages and gags that filmmakers, film crews and actors can slip into movies to pay tribute to films they love, have a bit of fun with their previous work, or give the cinematic equivalent of a shout-out. Here's a spotter's guide to these inside jokes. 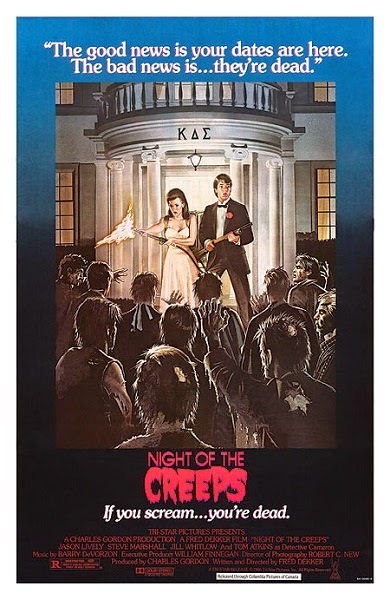 This time writer/director Fred Dekker gives us a good reason to take bathroom vandalism seriously in a moment from Night of the Creeps that will leave you screaming like banshees. The 1986 movie, which is packed with nods to other horror films and directors, concerns alien slugs loose on Earth that quite literally get into people's heads and turn them into shuffling zombies. 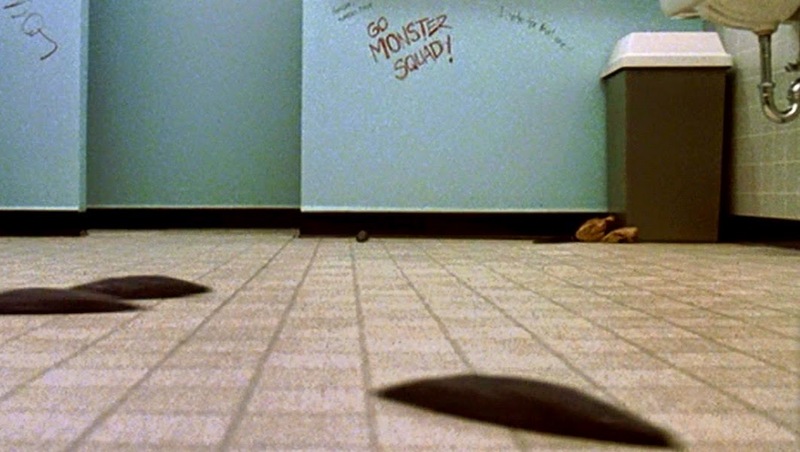 One of our two college student protagonists, J.C. (Steve Marshall), finds himself confronted by a swarm of the squishy little buggers while using one of the campus bathrooms. ...and possibly an answer to that age-old question "Who you gonna call?" It appears Dekker already had his follow-up project in mind. 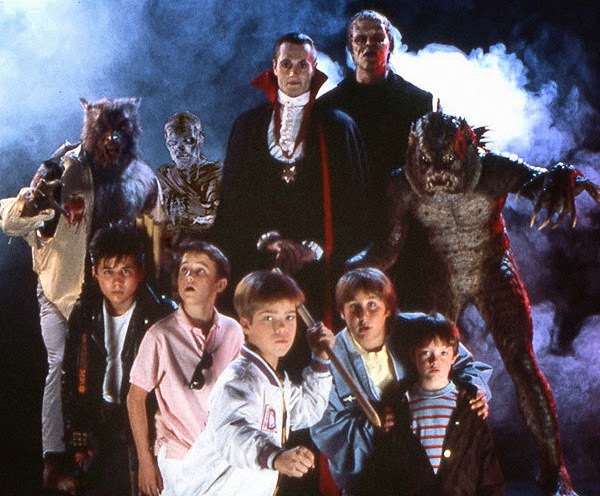 The very next year he would again pit kids against creatures in his tribute to the Universal Horror film cycle, The Monster Squad. It's too bad the squad wasn't quite of age to handle this emergency. J.C. sure could have used the help.